In writing this piece I’ve done something unusual for me, and that is to adopt a pseudonym. I’ve only ever done that once before, in a situation of abnormal danger. That was in Africa in the midst of a civil war. 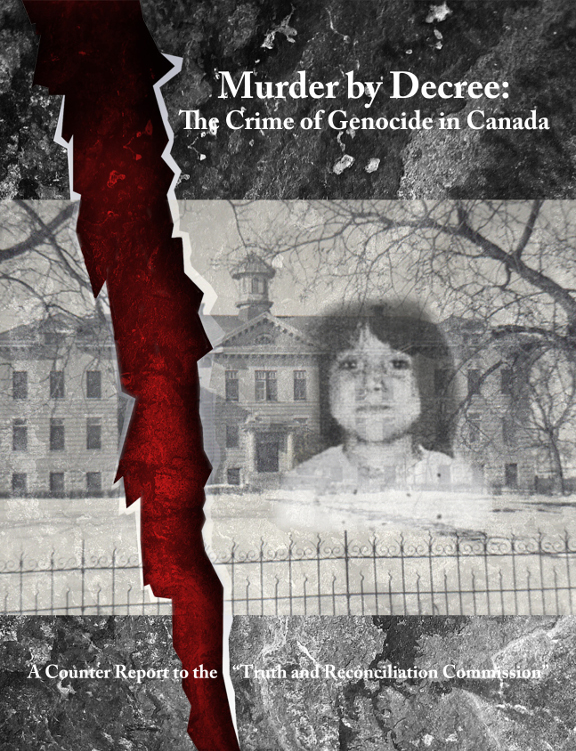 My efforts to construct the story of the Canadian Indian residential school cover up and the professional destruction of Kevin Annett have been no less perilous. I have been met with not only an unexplained eyebrow-arched discouragement from colleagues, but the loss of friends and family and at least one job opportunity. After beginning my research I have also experienced more overt intimidation, gang stalking, late night death threats and at least one “unofficial visit” by the RCMP. Clearly, some powerful people don’t want this story told, which makes it all the more necessary that it be told. I also want to point out that the details of certain personal aspects of this story have been deliberately made more vague than I would have preferred, at the insistence of my editors. One example of this is the issue of why the wife of Kevin Annett chose to turn on and betray him at the prompting of his adversary, the United Church. The reason involves the personal history and psychological condition of his wife and the unethical sharing of the details of her condition by her therapist with the church officials who approached her in her weakness and exploited her vulnerability. The sordidness of their actions is but one symptom of the domestic crimes for which the same church is responsible: atrocities that the protagonist of this story has so unflaggingly documented at the cost of everything in his life. With time and more people like him, the full truth will be heard, even in a place like Canada. This effort is another step in that long journey. Whoever looks beneath the surface of things does so at his own risk. I didn’t know what to expect when I arrived on Vancouver Island last autumn to start investigating this story. Frankly, I’d been warned off even attempting it, which if anything made me want to write it all the more. For not only is the issue enormous in scope, but so is the amount of fog, misinformation and outright hysteria generated around it. I am speaking of course of Canada’s home-grown genocide and how its awful truth was surfaced, and then buried again. Over thirty years of political journalism on four continents has taught me that every story is at its heart a simple one that’s only made complicated by those with something to lose by it coming to light. How Canada’s mainline churches went about wiping out huge numbers of brown skinned children in their “Indian residential schools”, aided by the government and its courts, is a simple matter of money and land. How the same killers have got away with it is a labyrinthine tale of ongoing murder, corruption, concealment and duplicity that many Canadians may have difficulty believing. Or maybe not. My efforts at unlocking this story have been aided from the start by another simple aspect of the tale: the fact that it really begins and remains focused on one man – a disarmingly unpretentious former clergyman named Kevin Annett. If you have a memory preceding July 8, 2008 you’ll probably recall Kevin, since until then he was routinely quoted and featured in Canada’s national media. After that date – when the Harper government “apologized” for the Indian residential schools and set the official spin in operation – Kevin’s name simply vanished from the press. How effectively his public erasure was accomplished – along with what he had uncovered over fifteen years – is truly breathtaking, especially considering the passions still aroused by the mere mention of his name. But to say that is to get ahead of our story, and of what I gradually learned in the face of an industry of slander, distortion and panic generated from the summit of Canadian church and state. All, it seems, because of this one man. I began at the scene of the crime, the nearly-exact midpoint of Vancouver Island. It’s the place that served as the launching pad for our destruction of most of the west coast aboriginal tribes in the last half of the nineteenth century. There are still Indians around the area, but like any of us they know little if anything about their origins or of what makes them unique. Survivors of a slaughter never do. Port Alberni doesn’t mix its races. I haven’t seen whites and Indians sitting together in its restaurants or alongside each other in its churches. The browns are cloistered on the two local Indian reservations or in the mid-town slum area everybody calls “the Ghetto”, sprawled next door to the barely-operating pulp mill. It was the same way when Kevin Annett arrived in town over a quarter century ago, to take up his post as the new minister at St. Andrew’s United Church, which closed down the year after Kevin was fired. Despite the calumny and fog placed around his name, people here still openly recall the young minister: especially the Indians. More of them seemed willing to talk about him than did the whites. Like the proverbial blind people describing different parts of an elephant, and mirroring the nation, there seems to be no consensus among Port Alberni residents about Kevin Annett, save one: that he let loose a political firestorm about stolen land and missing and murdered aboriginal children. I tried to speak to the men to whom Kevin first unleashed that storm: a handful of United Church clergymen, some of who still pastor churches on Vancouver Island. None of them returned my calls or emails. Nor did the national office of the United Church of Canada when I asked for an interview with whoever could speak knowledgeably about their firing and defrocking of Kevin between 1995 and 1997. Like the mass graves of the residential school children that he first pointed out, an official Night and Fog still surrounds Kevin Annett. Two of these clergymen are Foster Freed and Phil Spencer: United Church ministers in Nanaimo and Qualicum Beach. In November of 2018, they hired a lawyer named Lewis Spencer from Derpak, White and Spencer law firm in Vancouver to issue a “Cease and Desist” letter against Kevin Annett at his former address in Nanaimo. Without citing any proof, the letter accused Kevin of circulating in a leaflet “defamatory and false” accusations against Freed and Spencer, and declared that the RCMP have “opened a file” on Kevin. Apparently Freed and Spencer didn’t tell their lawyer that with their encouragement, the Mounties had already opened a file on Kevin Annett in the spring of 1993, well before his firing from the church two years later. But why is their “cease and desist” action happening now, more than two decades later? Significantly, no-one has ever sued Kevin Annett for any of his claims. And isn’t the United Church always the first one to say (at least, in relation to their own malfeasance) that what’s past is past and should be “healed and reconciled”? Apparently not, when it comes to Kevin Annett. For even though Freed and Spencer were the main actors in the secret and unauthorized destruction of Kevin Annett’s job, livelihood, good name and even family, they take offense whenever anyone mentions it: as did a group of local young activists who were the ones who actually circulated the “defamatory” leaflet that their lawyer attributes to Kevin. People usually are defensive or over-react when they’re feeling guilty or vulnerable. Or as my air force father used to say, “You know you’re over the target when the flak starts.” So I followed the flak and did my own digging into what had first caused Freed and Spencer, and eventually the wider United Church officialdom, to tear apart Kevin Annett’s life. And my search quickly led to a letter Kevin had written on October 17, 1994, three months before his firing without cause or notice by the men to whom it was written. Kevin’s letter to the local church Presbytery officials concerned a piece of aboriginal land stolen by the United Church and then resold to the church’s corporate benefactors. Such a theft was hardly an unusual event, but in this case it was one fraught with major fall out once it was made known. For Kevin’s discovery of the theft of Lot 363 on the Ahousaht reservation near Tofino opened the lid on a hidden deal between his church, the provincial government and the largest logging company in the world, Weyerhauser, that stood to profit all involved by over two billion dollars. Kevin’s letter was amazingly naive, in hindsight. It asked that, in accordance with church policy, the land be returned at no charge to its rightful owners, the Ahousaht tribe. But that of course would have “upset the whole apple cart”, to quote the provincial Aboriginal Affairs minister John Cashore – another United Church clergyman – whose government was a major shareholder in the company. And so the word went out from more than one boardroom for someone to deal with this meddlesome priest. Foster Freed and Phil Spencer volunteered. They were the point men in Kevin’s destruction. They had gone to seminary with the man and they had his trust. By their own admission, both of them were chomping at the bit to prove they had the right stuff to climb higher in the church rungs; they were indeed subsequently rewarded with higher positions in the church for their ruination of Kevin Annett, Freed as B.C. Conference President and Spencer, ironically, as its head of Pastoral Relations. They had also proven themselves to the civil authorities, by flagging Kevin to the local RCMP when he’d told them accounts of children being killed in their church’s Alberni Indian residential school. And so, encouraged by the national church office, its lawyer Jon Jessiman and B.C. government minister John Cashore, Freed and Spencer formed a secret “oversight committee” to arrange not only Kevin’s firing and defrocking but the blackening of his name and employability in church circles. Neither Kevin nor his congregation nor even other United Church officials knew of this shadowy committee, or its game plan. Now here’s where it gets even sleazier and more revealing. Apparently with the go-ahead from Jon Jessiman, Phil Spencer approached Kevin’s wife, Anne McNamee, months before they actually fired him. Spencer offered to arrange church funding for Anne’s divorce if she agreed to leave Kevin after the boot came down on him, and if she helped spy on him and purloin his personal files. Spencer also assured her that the church could “arrange” for her to get full custody of their two daughters in Family Court, as long as she played ball. Anne accepted the deal, and eventually she did indeed win legal custody over their kids after she’d disappeared with them following Kevin’s firing. The United Church paid Anne’s lawyer Ron Huinink at least $28,000 during the McNamee-Annett divorce and custody trial in early 1996. This was not simply another sordid, in-house church slam-dunking of an inconvenient heretic. Spencer – a low-level clergyman who was a relative nobody – acted with complete impunity and without apparent fear of consequence, knowing that the court system would be on his side. Nobody in his position acts that way unless they know their back is being seriously covered by bigger forces. Fortunately for posterity, nobody expected Kevin Annett to be so resilient and tough. Stripped of everything, he just wouldn’t give up documenting stories and holding public protests about the residential school crimes, and of what he’d learned through bitter personal loss and experience. And the longer Kevin persisted over the years, the more an even uglier truth began to emerge. The Canadian public has been so carefully inoculated to the little matter of Genocide in their own backyard that the truth so briefly surfaced has once again been placed beyond reach and understanding. Torn and violated little bodies thrown into a mass grave have been sanitized into stale words of compensation and apology. We can thank the media and academia for that mind-numbing subterfuge, as well as the church-state spin doctors. But we also have ourselves to blame. For who of us wants to take responsibility for our own Group Crime, especially since there’s nothing forcing us to? Nevertheless, in the matter at hand, the very degree of the official cover-up of that Genocide is as revealing and as damning as the original crime itself. The bigger the crime, the greater the concealment. Early in his campaign, Kevin Annett published a front page article from the Ottawa Citizen dated November 15, 1907 entitled “Schools Aid White Plague”. The article described the report of a Dr. Peter Bryce of the federal Indian Affairs department, who reported that as many as 69% of residential school children were dying each year “after being deliberately exposed to communicable disease”. Yet this official proof of intentional mass murder went down Orwell’s Memory Hole, and remained there until Kevin published it in 1998. At the time and throughout the stillborn existence of the TRC, I wondered as a journalist why nobody in the media was questioning the legitimacy or legality of an alleged Commission that was set up by the very parties responsible for the crime being “investigated”. Or why, under the terms of the TRC mandate, their Commissioners (who were appointed directly by the churches and the Privy Council office in Ottawa) were not allowed to issue subpoenas, access church records or take down as evidence any testimony that named the names of perpetrators or of capital crimes. The statements of residential school survivors were even vetted and censored by the Commissioners before being presented publicly. And yet the TRC was continually presented in the government-parroting Canadian media as a genuine investigation into Indian residential schools. Of course, none of that matters when the serial killer is still in charge. But these incidents are also symptomatic of the Canadian nation at large, and our deep reflex not to believe that our churches have the blood of over 50,000 children on their hands. It’s precisely that denial that Kevin ran headlong into after his immolation by his own church and his casting out among the survivors of their genocide. But ironically that positioned him to start surfacing even more proof of the Canadian Group Crime. I remember when I first heard about Kevin Annett, soon after he pulled together the first public Tribunal into residential school crimes in the summer of 1998. I was finishing a story on the toxic waste poisoning of northern wildlife. Delaying my flight home with a stopover in Vancouver, I swung by to catch the last day of the Tribunal. It was held in a maritime union hall on the east side of the city. The place was emptier than I’d anticipated. At the front of the hall were arrayed a dozen older people, mostly aboriginal, who were the official observers from a United Nations NGO group called IHRAAM. Seated at the microphone was an elderly native woman who was haltingly describing her torture with electrodes when she was six years old at the Catholic Indian school on Kuper Island. A few others sat protectively nearby, their hands resting on her, but besides them I counted barely two dozen people there. One of them was Kevin Annett. I recognized him from a picture in the article I’d read about the Tribunal, and I went over to speak to him. He was jotting down the words of another aboriginal and I waited until they were done. Then he smiled at me good naturedly but with an obvious caution. The “goons”, according to Kevin, were led by a native man from Bella Bella named Dean Wilson who was himself hired by a “government Indian” Chief, Ed John, and his associate, a United Church official named Alvin Dixon. How could he be so sure, I asked him. I was surprised that same week when the horde of Canadian media who’d originally covered the Tribunal never reported a thing about it. For the first time, eyewitness testimonies had spoken of mass killings and sterilizations at residential schools, as well as ongoing aboriginal child trafficking across the province, including in Ed John’s own territory. Yet not a peep of it appeared in the press. I became less surprised as the years went by. Jump forward a decade to the time just before Kevin Annett’s name became officially erased from the “mainstream” media, when Stephen Harper “apologized” for residential schools. It was March of 2008, and Kevin and his people had just occupied a series of Catholic, Anglican and United churches in Toronto and Vancouver, demanding that they and the Crown be charged with genocide in international courts. Under obvious pressure, the Globe and Mail had just published an article that for the first time publicly confirmed what Kevin had been alleging and revealing with documents for over a decade, that at least half the children had died in the Indian residential schools. And yet the same article had censored out most of what Kevin had actually said to the reporter, Bill Curry, including about the continued disappearance of aboriginal women and children, and the location of mass graves of residential school kids at twenty two sites across Canada. Having read Kevin’s original press statement about the graves, I spoke to Bill Curry about why it wasn’t mentioned. It was clear to me at the time that the writing was on the wall for Reverend Annett. Sure enough, after his name and work were swabbed out of the media and any public discourse, I lost interest in the man, assuming he’d disappear. My work took me far afield during the next few years, and a storm of internet attacks against Kevin confirmed to me that he was undergoing a classic black ops “bad jacketing” campaign that would ensure his obliteration. And so it was with genuine surprise that I rediscovered him during 2013, after he’d expanded his work to Europe and helped force the resignation of Pope Benedict. More than impressed that Kevin was still alive and kicking, and that neither he nor his adversaries were giving up, I nevertheless avoided contacting him. I still can’t explain why. An unusual dread passed through me whenever I thought of doing so. It was also a story that nobody wanted to touch, and I knew I’d be likely freelancing it if I took it on. Plus, it was too big a story to encapsulate in a print article. It would take a major TV series to give it justice. And knowing something of the Hollywood scene, I knew the odds were unlikely for a story like this one to get past the lawyers. But of course the odds had always been slim, either for those little kids or for Kevin Annett’s efforts. Frankly, I was also frightened. The previous year, Kevin Annett had received another major take-down after he had helped a group of Mohawk elders to excavate and positively identify the physical remains of children who had died in and were buried next to the former Anglican Mohawk residential school in Brantford, Ontario. Once again, the Canadian media studiously ignored the whole thing, even though it was the first public opening of a residential school grave in Canadian history. Even after the Smithsonian Institute in Washington had identified one of the excavated bones as being that of a young aboriginal girl, it was still not considered “newsworthy” by any Canadian media. But that wasn’t what frightened me. Kevin was quickly shut out of the Mohawk community that had publicly supported and endorsed him, and he was violently attacked and smeared across Canada during 2012. Also, three of his aboriginal co-workers in Vancouver had died suddenly over the same year, upon investigation, from obvious foul play. These killings, and the speed of the take down and the obvious collusion between the feds, the media, the native elites and the Anglican church in wiping out Kevin, convinced me that the guy’s days were numbered, as were those of anyone who stuck with him. While I kept my distance from him in those years, I didn’t step back from the story. I kept doing my own digging and discovered that everything Kevin claimed about the Mohawk school was accurate, including Anglican church records in Huron College in London, Ontario that detail a master “smoking gun” plan by Crown and Pulpit to exterminate the Mohawks that went back to the 1830’s. With the official wrap-up of the ludicrous TRC in 2015, and the breaking of the story into the international press again that same year (“Canada admits cultural genocide”, New York Times, June 3, 2015), I considered approaching Kevin Annett once more. I was curious how he was and more than concerned that he was still alive. What finally nudged me to take the plunge into his story was an encounter I had last summer with a former Canadian Security Intelligence Service (CSIS) operative who’s been a source for me. The topic of the convicted serial killer Willie Picton and the disappearance of native women in B.C. came up, and my source let out a laugh. It turns out that my source had been one of the CSIS field agents who had infiltrated the infamous “Piggy’s Palace” in Coquitlam at the time that so many street women were disappearing. He’d discovered quickly that the Picton brothers were merely on the body disposal crew, and that the killings were happening at a wealthy home frequented by senior Canadian politicians including a former Prime Minister and two serving Senators, RCMP Superintendents and at least one local Catholic Bishop. All of them are members of something called the Twelve Mile Club – their name for themselves – named after Canada’s territorial limit. That started me on my recent search. But I waited for some time to contact Kevin again, partly because the man is forever on the move. When we did finally meet again it was obvious that more than the proverbial chickens had come home to roost. Kevin Annett had noticeably aged since we’d last met. But he has actually borne the war waged on him incredibly well. He looks much younger than his sixty two years. His manner is easy and open, still radiating his characteristically calm self-assuredness and wry sense of gallows humor, despite all his losses and setbacks. After we’d been seated in the cafe where we met, Kevin handed me a copy of his recent book, At the Mouth of a Cannon, with a smile on his face. “Is that still a danger?” I asked him. I tapped his book and asked him if its recent release was the reason for the latest attacks on him by Freed and Spencer, since it focused on the Ahousaht land theft and their role in his professional destruction. But why now, I asked him. I remarked that perhaps that’s why some Canadians hate and fear his name so much. “Don’t believe what you read on the internet” he answered, smiling again. I asked him what he knew about the Twelve Mile Club, and he lost his smile. I’d like to say that my two solid months of investigative research have cast more of a light on that evil, but mostly it’s left me facing a wall. And by that I mean more than the official denial and cover up that prevails at every level of our country. The wall is in me as well. An immovable barrier seems to stand inside me, preventing me from acting on the horror of it so that I can help stop this murderous system. My job is to uncover and write and inform, but I must do much more than that if I am to call myself a human being. This prompted me to ask Kevin the question that so many others do, seeking a clue to the mystery of how he has done all that he has. Sometimes I think that only a future generation will fully appreciate the truth of what I’ve written about, and of what Kevin Annett has embodied. Neither that truth nor Kevin have yet received the acknowledgement and recognition that a mature and genuinely “healed” culture would bestow on its fallen children and on its homegrown heroes. But truth is the one thing that outlasts time, having a momentum all of its own, as do the pure in heart who embody it. And so I end this piece with an abiding hope in the future because that’s all we have left; and with an appreciation for Kevin Annett that words alone cannot impart. I leave this in the hands of those of you who can do more than simply understand. Sarah J. Webster is the pseudonym of a syndicated journalist and adviser to alternative media networks on four continents. She has been nominated for journalism excellence awards on numerous occasions. Next: Next post: Now available! Kevin Annett’s latest book: “The Border – A Post-Canadian Anthology” – order it here!